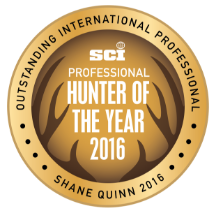 Hunt with Shane Quinn's Alpine Hunting New Zealand - The South Pacific's leading Outfitter of World Record Stag heads as well as all other New Zealand species. Experience New Zealand's best hospitality and hunting. Where the herds roam free and the red stags roarrr...! At Alpine Hunting New Zealand we retain an enviable reputation for maintaining the highest possible standards in professionally organizing and implementing New Zealand Trophy Hunts. See why Alpine hunting is the New Zealand standout outfitter of world record heads with an unbeatable lodge ambience..